The List of Psychic Twins Predictions for 2017 - Have You Heard? Home » Psychic Readings For 2016 » The List of Psychic Twins Predictions for 2017 – Have You Heard? The List of Psychic Twins Predictions for 2017 – Have You Heard? The America twin psychics, Terry and Linda Jamison, are renowned globally thanks to their predictions. Known as The Psychic Twins, both gained the recognition after accurately predicted the 9/11 terrorist attacks on USA on the Art Bell radio show (in 1999)…they said “there would be terrorist attacks on federal buildings and the World Trade Center in 2002“. The Psychic Twins have over 1,500 documented world prognostications since 1999, including many of the most dramatic events of the new millennium, like the 9/11 event, the Paris terror attacks, the Boston Marathon bombings, the San Bernardino massacre, as well as numerous health and medical breakthroughs. In an interview with The Hollywood Reporter, both Terry and Linda Jamison think that 2017 will be another crazy year, even crazier than last year. They see several terror plots in progress for Washington D.C., California, and New York City. Europe, France, Germany, Belgium, London, and even Scandinavia are in danger. If you plan to travel to these places, be vigilant because some of the attacks will be thwarted. So, who are Psychic Twins? Terry and Linda Jamison are identical twins and professionally known as The Psychic Twins. Born in a small town of West Chester, Pennsylvania, USA, they have been gifted since childhood. After got a university degree in fine arts, both have worked as performance artists. However, they later suffered from different illnesses for several years; in the late 1980s, they began practicing Buddhism. The sisters moved to Los Angeles, California in 1990 to start their career as psychic readers. To this day, they have made numerous public predictions and media interviews. Due to their incredible predictions, The Psychic Twins are listed as one of the most famous psychics in the world. Besides the prediction for the terrorist attacks on the World Trade Center and Federal Buildings, the Jamison sisters are also known for successfully helping the police solving crimes. Their special technique – ‘automatic writing’ or ‘channeled writing’ – is ultimately used to access the spiritual information. In addition to media interviews and public predictions, they have written two books: “Tune In and Discover the Power of Your Intuition” and “Separated at Earth: The Story of The Psychic Twins” . Do you believe in the list of Psychic Twins predictions for 2017? Feel free to ask us if you have any question! 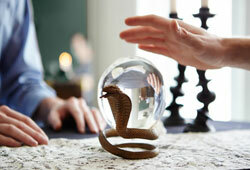 Who are the Top 10 Rated Psychics in the World You Need to Know?